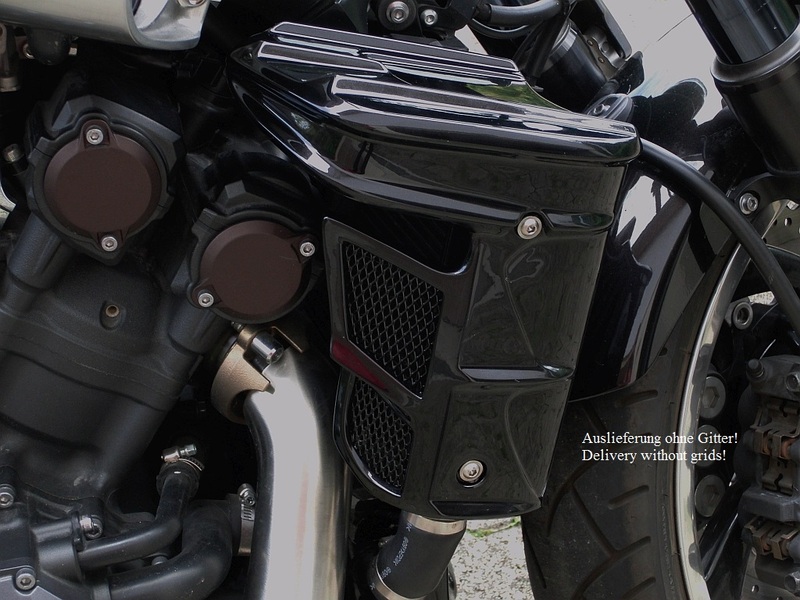 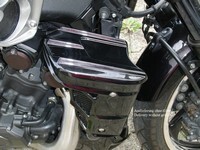 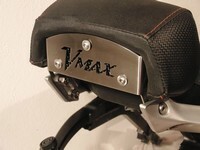 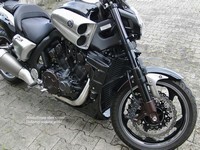 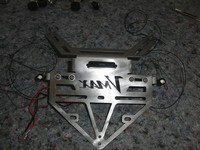 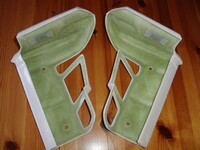 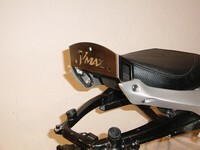 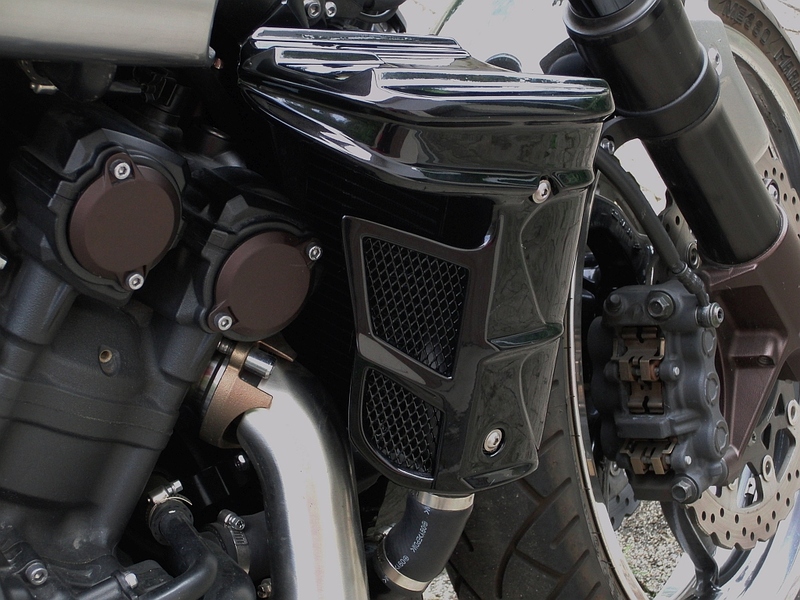 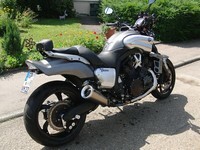 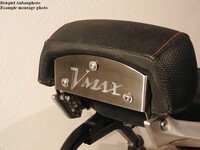 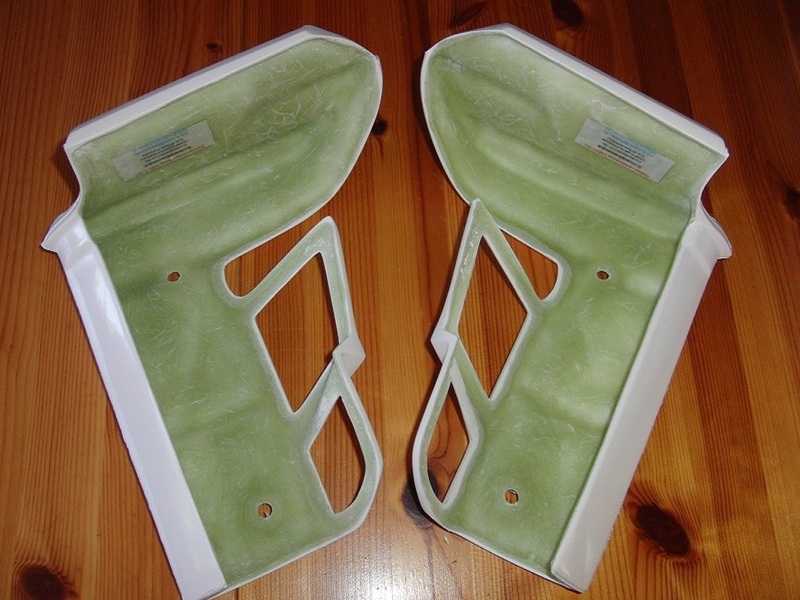 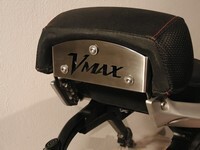 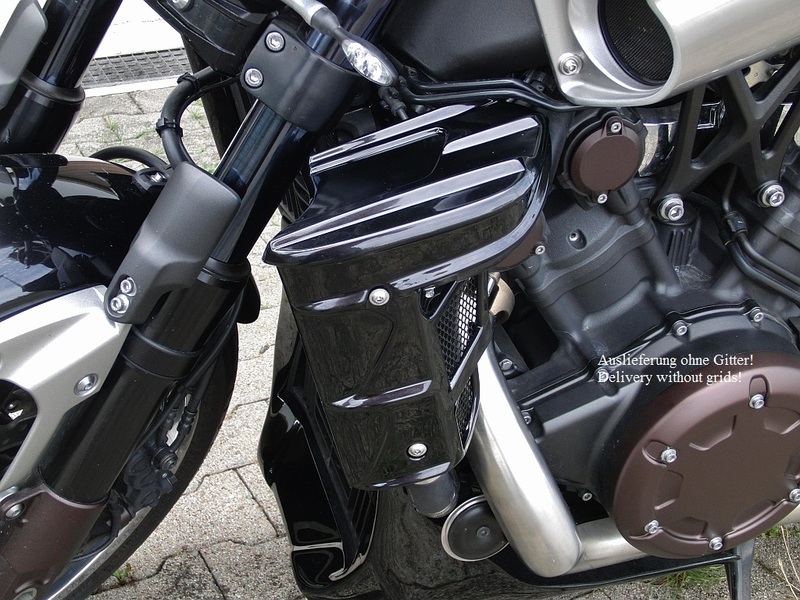 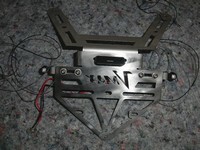 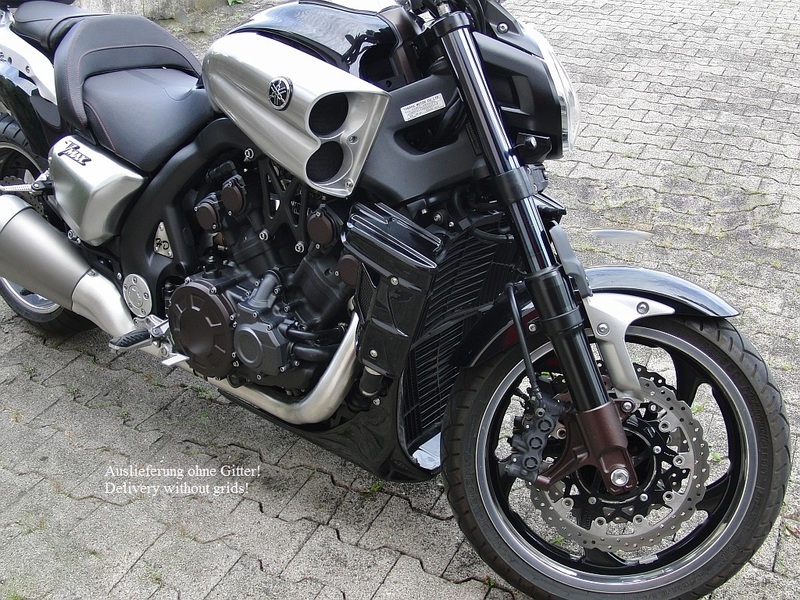 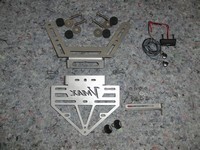 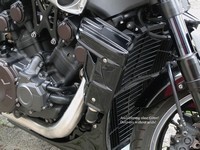 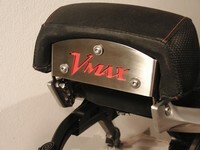 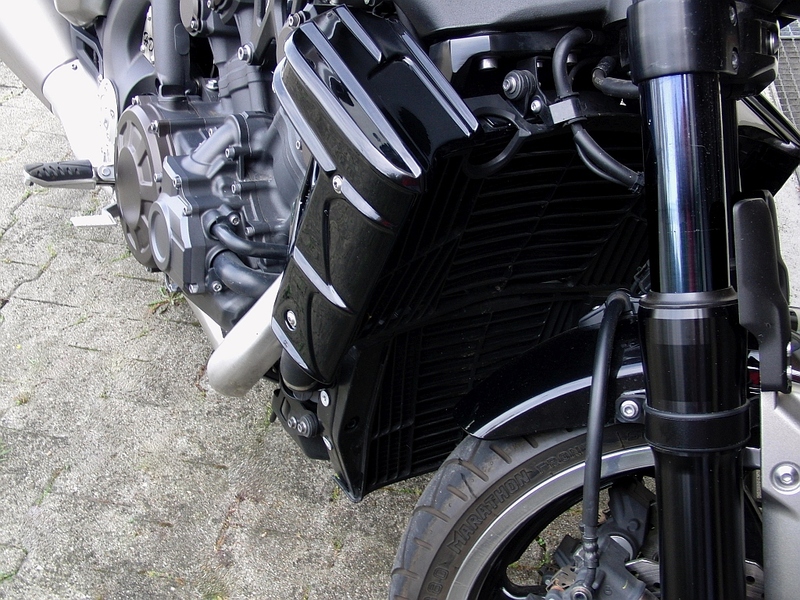 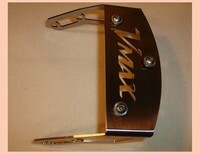 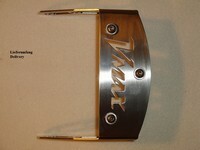 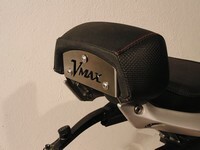 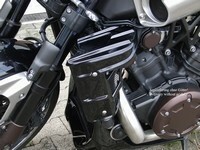 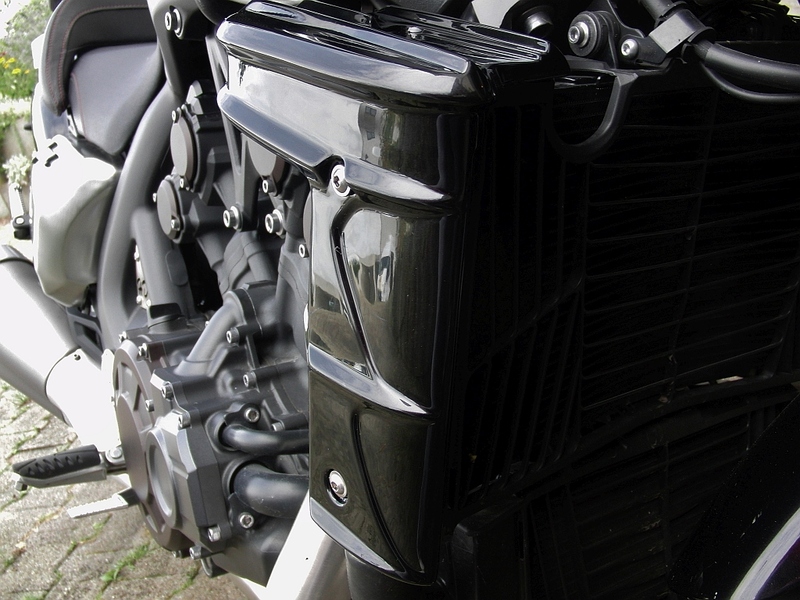 Radiator covering for YamahaVmax 1700. 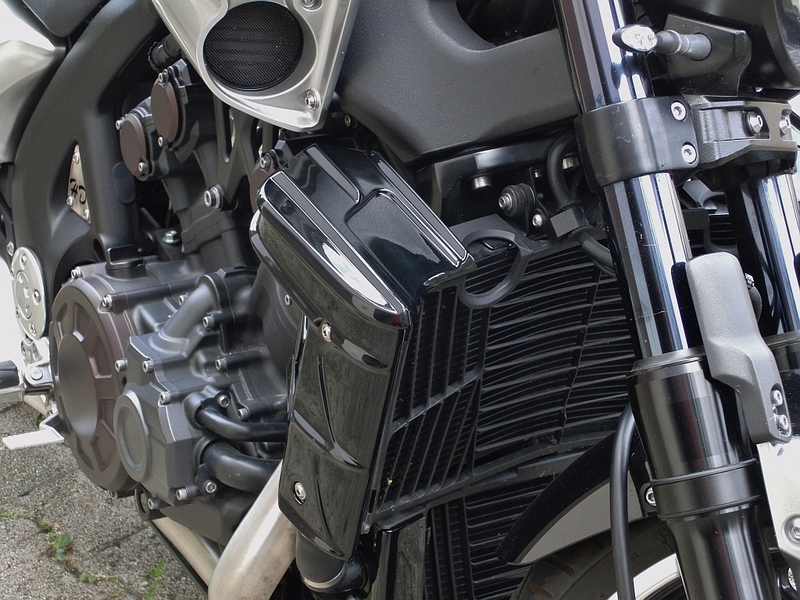 The high-quality fitting radiator covering fit perfectly into the design of your Vmax. 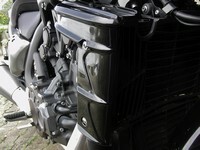 The radiator grille is made of GFK with a white gelcoat coating. 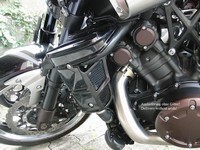 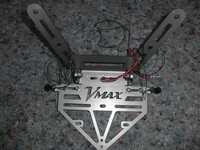 The fixing is carried out at the original holding points with the original screws. The black grids shown in the pictures are not included! 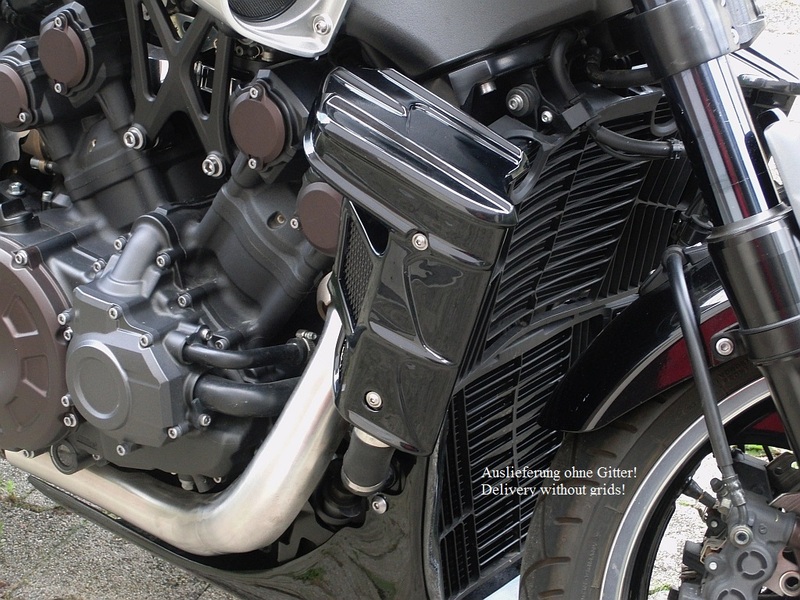 Such stretching grids can be obtained very cost-effectively in various variants in the motor vehicle accessories. 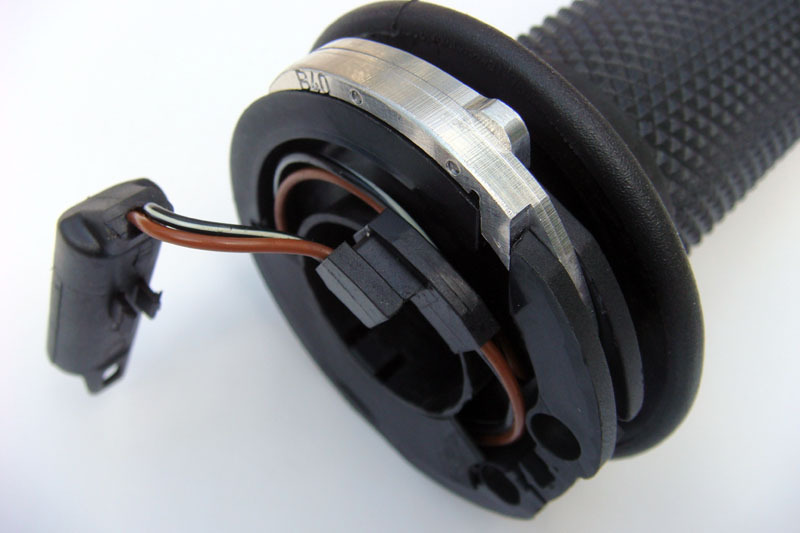 Simply cut and stick with a hot glue gun. 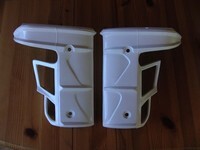 Deliverycontent: Pair Radiator Covering GFK unpainted white.